It’s hand-painted! Now that’s quality! What did Dammy do with the painters? He’s not telling! Ringling Brothers are closing down shop. Between video games and endless Star Wars movies keeping the kids entertained and the ASPCA asking questions about how they got those bears to ride trikes, it’s just gotten to be too much to handle. So Dammy’s out of a job. And Dammy’s not happy about it. What’s Dammy going to do to occupy all that newfound free-time? He’s not going to stop traveling from town to town, that’s for sure. Dammy’s got a traveling spirit. Can’t keep a good clown down. So Dammy’ll just get up to what mischief he can before he moves on to the next town. 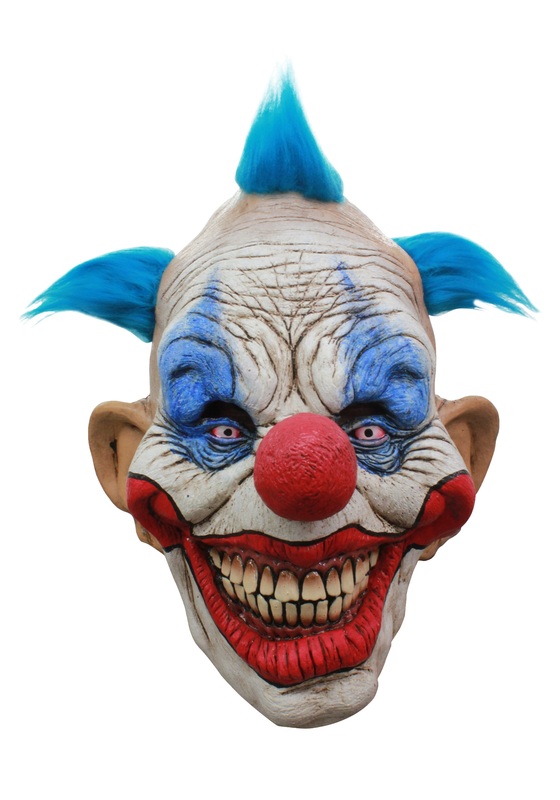 Our Dammy the Clown mask is for the Halloweener who’d rather default straight to trick––nobody’s going to be waiting around to see what you drop in their bucket when you’re wearing this thing. Dammy’s keeping all the candy for himself.